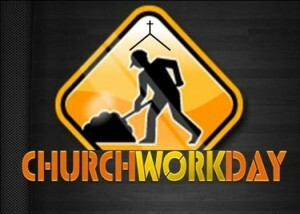 This Saturday (June 4th) is our annual church work day. There is a lot of work that needs to be done, both inside and outside the church building. Whether you are a heavy lifter, a detailed cleaner, a good painter, a landscaping guru, a carpentry wizard, a helpful organizer, or a wise supervisor, we need your help. We have plenty of work for everyone who is willing to serve. Beginning at 8 a.m., we will be working all morning and even some in the afternoon for those who are able and willing. Even if you can only help for a short time, please plan on joining us. If you have any questions or want more information, please contact us. For those who are here and helping, lunch will be available and served around noon. Thank you to the amazing church family members who continue to serve Christ by serving others inside and outside our church!